LaGrange Products has produced air/oil separators since 1978. Our separators are built in the United States to meet national and international quality standards, such as ASME, and are 100% hydrostatically integrity-tested. 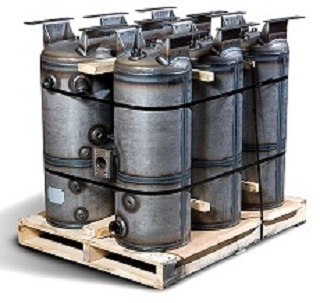 Simply put, air/oil separators separate oil from the compressed air in portable and industrial applications. They conserve lubricating oil, improve compressor performance, and ensure consistent air quality by reducing the oil in the compressed air system. Separators trap oil by allowing it to coalesce and drain to the bottom of the separator tank. There, the oil is reintroduced to the lubricating system, while allowing compressed air to pass on through to the air receiver.